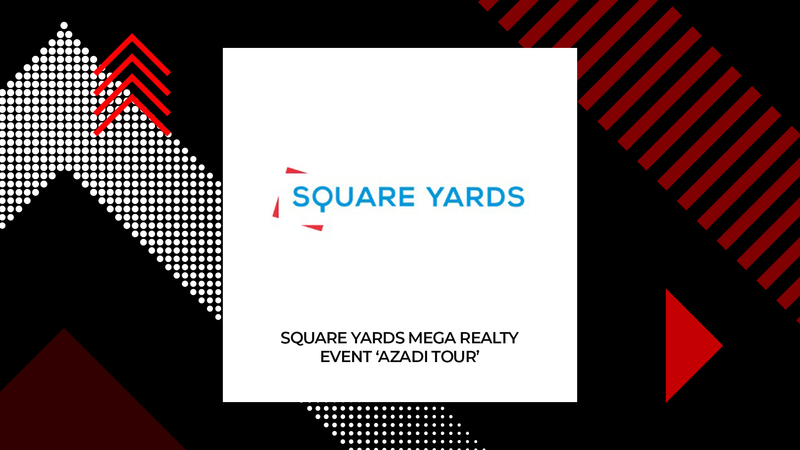 Square Yards, India’s largest proptech player, concluded its mega realty event ‘Azadi tour’ in the month of August 2018 with a whopping 950 transactions resulting in INR 600cr worth of property sold in just under a month. In one of the most innovative & brilliantly crafted marketing campaigns seen in real estate industry, the event was christened as ‘Azadi Tour’ that offers the prospective home buyers independence from rent, brokerage and stress of house hunting. The idea behind the Azadi Tour was to provide customers with a chance to own their home on their terms. Square Yards’ worked with leading Indian developers to structure very uniquely & tailor-made ‘once in a lifetime’ offers available only for spots closures at the event venues. The offers ranged from slashed prices, heavy discounts, rock bottom booking amounts, extra charges waivers, simplified payment plans, chance to win cars, consumer durables and other gifts. In all more than 35 developers participated in the event with irresistible offers including the likes of Emaar, Godrej properties, Shapoorji Pallonji, Omkar, ATS, Kolte-Patil, Purvankara, Brigade, Gaursons, M3M among others. In addition, leading banks & NBFCs were roped in to offer on the spot mortgage sanctions and fee waivers. Square Yards topped up this happiness for the buyers by introducing a very innovative digital ‘spin the wheel’ contest with assured gifts ranging from high-end gadgets, luxury consumer durables and automobiles.